You are here: Home / Health / Why Are So Called Leftists Thrilled by Abortion? Why Are So Called Leftists Thrilled by Abortion? During her presidential campaign, Hillary vowed to protect animals from cruelty and abuse.https://wapo.st/2RIzbmR And yet, Hillary is elated over her bill to allow abortion doctors to deliver a nine-month-old baby except for the head; then shove scissors into its brain to kill it. This barbaric, shameful and evil procedure is called partial birth abortion. Eighty-five year old pro-abortion Supreme Court justice Ruth Bader Ginsberg’s health is failing. If she dies or retires, leftists fear Trump’s replacement will be a conservative. Panicked female abortion zealots are offering their body parts to keep Ginsberg alive. Abortion zealot Alyssa Milano offered her ribs, kidneys and a lung to Justice Ginsberg. https://bit.ly/2SR1IEe Notice the intense passion to do whatever necessary to freely kill babies in the womb. “And God blessed them. 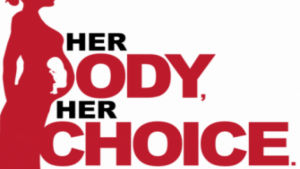 And God said to them, Be fruitful and multiply and fill the earth…” (Genesis 1:28) Despite God’s command to “be fruitful and multiply”, many youths vow not to have children because leftists have convinced them that childbirth is extremely destructive to the environment.https://ind.pn/2ucA1h2 Leftists foolishly believe they are smarter than God.